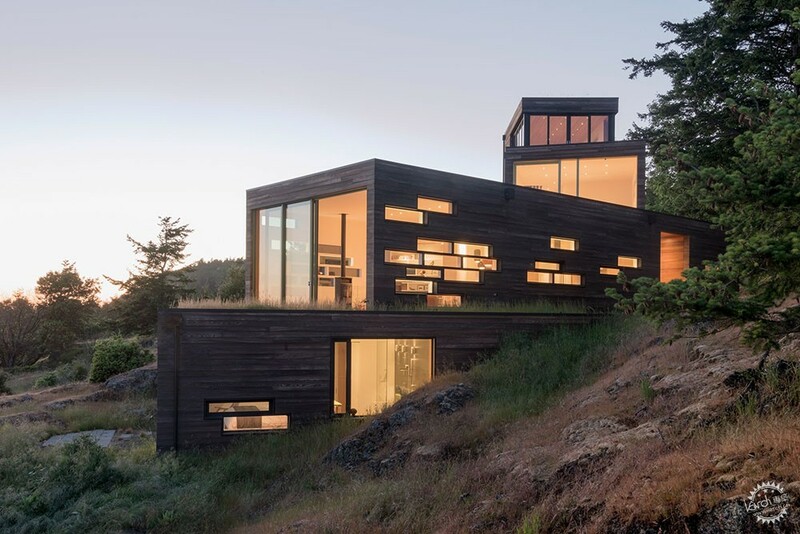 American firm Prentiss Balance Wickline Architects has created a dwelling in the Pacific Northwest that consists of timber-clad volumes that step down a rocky hillside. 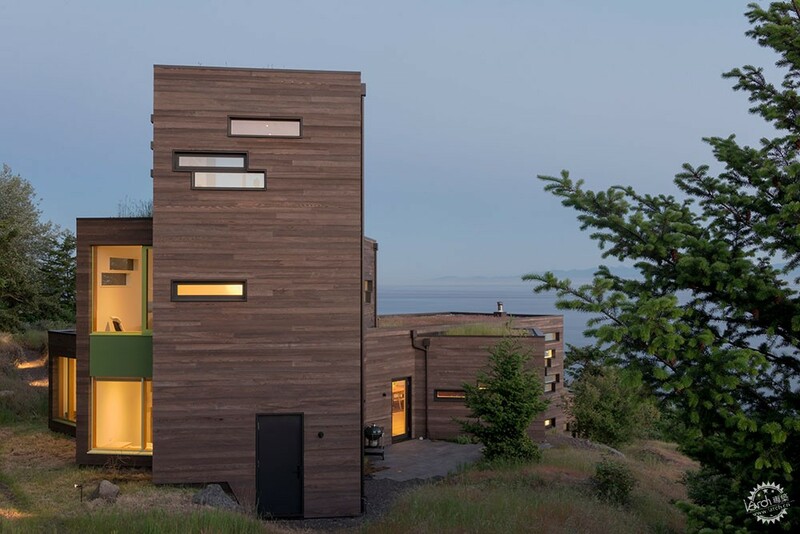 The Bailer Hill house is anchored to a boulder-strewn slope on San Juan Island, which is part of an archipelago just off the coast of Washingtonstate. The clients – a retired couple – requested an unconventional home that was skillfully integrated into the site and was sensitive to environmental concerns. 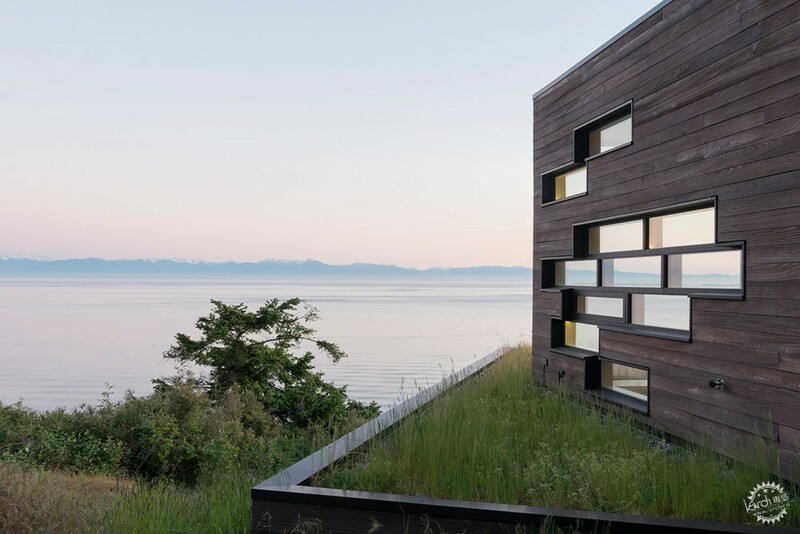 "Siting the house was the first challenge," said Seattle-based Prentiss Balance Wickline Architectsin a project description. "Capturing the views while simultaneously integrating the building into the landscape required a creative solution and daring clients." The team conceived a home that consists of various sized boxes that step down the hillside and offer generous views of the surrounding terrain. The rectilinear forms shift as they descend toward the water, resulting in exposed rooftops that were turned into grassy terraces. "Cascading organically down the hill, the house remains firmly rooted to the earth even as it rises high above the ground," the team said. "It is a complex form with a simple goal: capturing the beauty of this spectacular site." Facades are clad in cypress that was charred using the ancient technique of shou sugi ban, and are punctuated with an array of small, horizontal windows that offer glimpses of the scenery. 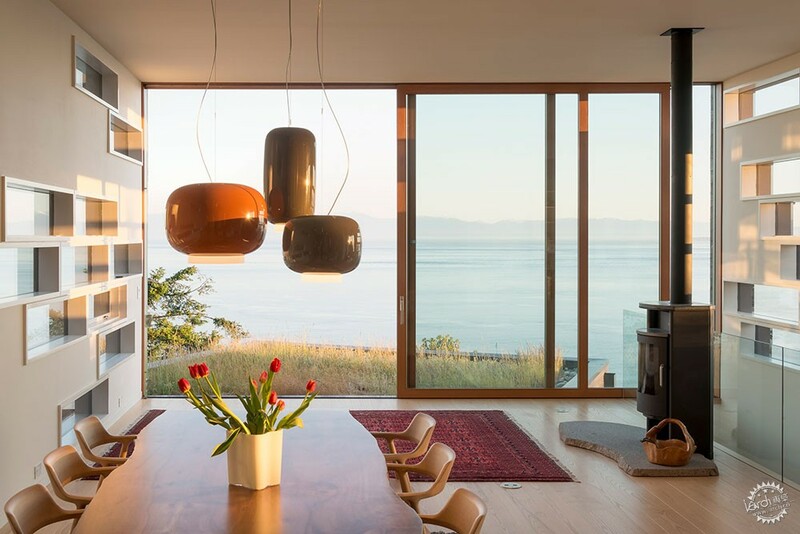 For the sides of the home that look toward the ocean, the team incorporated large glazed doors, which bring in ample daylight and provide a strong connection to the landscape. The residence, which encompasses 3,228 square feet (300 square metres), has four distinct levels. The first floor contains an open-plan living room, dining area, and kitchen, along with a reading nook and office. The master suite occupies the lowest level, while a guest room and an art studio were placed in the upper two floors. Earthy materials and a neutral colour palette were deployed throughout the dwelling. Various tones of wood were used for flooring, cabinetry and wall panelling. In the foyer, large grey rocks act as a sculptural element and bring a little of the outdoors in. Accessible from Seattle by ferry, the San Juan Islands are beloved for their spectacular scenery and impressive wildlife, including orcas, porpoises and sea lions. Other dwellings in the archipelago include the Pierre by Olson Kundig Architects – a concrete and glass home that is nestled between huge boulders.